Your visit to the small towns and big fun of the Big 400 should include a trip to the big outdoors. When you’re driving through the countryside to seek out farm stands, view Sandhill cranes, or taste wine, or visiting our small towns to shop, listen to music, dine out, drink beer, or see a play, you’ll be tempted to get out and move around. Yield to temptation! Hike, bike, or paddle in the Big 400 on one of these short, family friendly trips. Stop along the way and enjoy the peace of the out of doors. Master a hill on a bike trail, and earn that ice cream cone at the next town. Splash in the water on a hot day. Enjoy the Big 400. 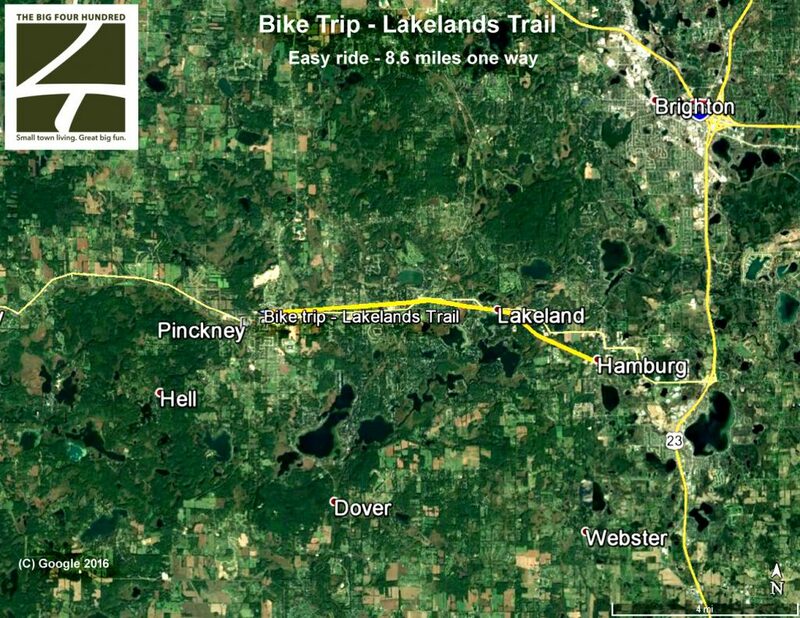 Experience a taste of Michigan’s Lakeland Trail linear state park. This is a ‘rails-to-trails’ initiative, which means gentle grades, running through small towns and rural country sides. The perfect family get away. Stop along the way for an ice cream, or have lunch overlooking one of the area’s many inland lakes. This is a great day’s trip. 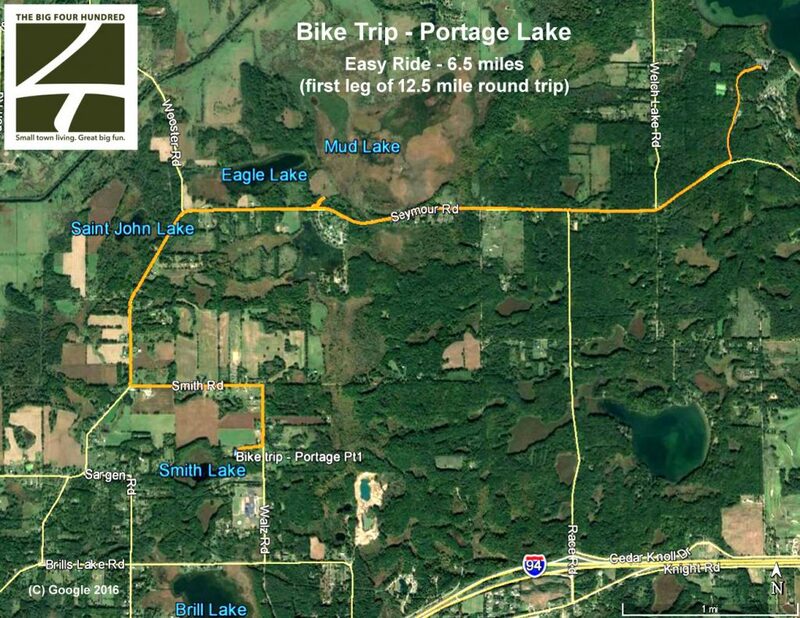 This is an easy, but longish, trip beginning at Portage Lake Campground. Winding through the Waterloo Recreation Area and nearby farmlands, it’s a great place for birdwatching, and provides opportunities to experience wine tasting at the award-winning Sandhill Crane Vineyards. Be sure to check out the wines they blend in support of area conservation organizations! 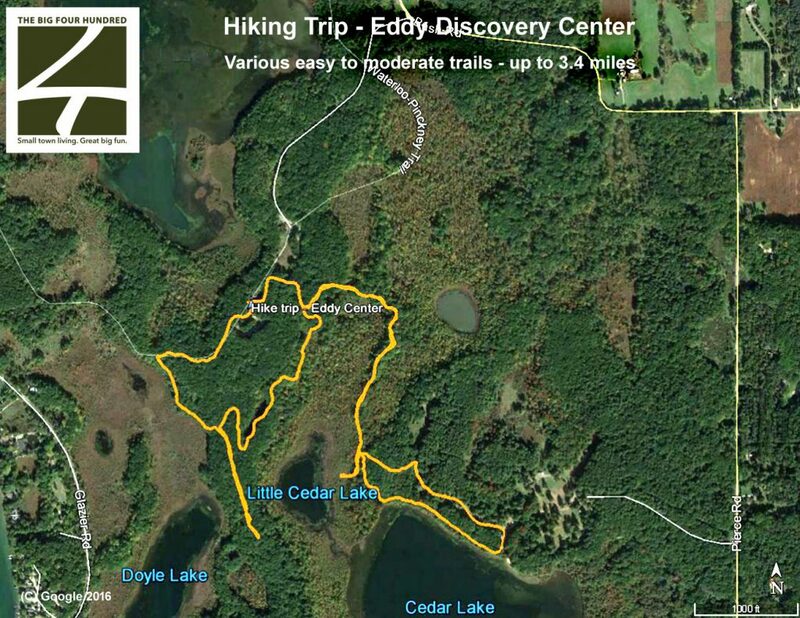 A number of easy family-friendly trails begin at the Eddy Discovery Center. Particularly interesting is the Bog Trail, which leads through a unique wetland eco-system. Check out the Discovery Center itself for self-guided exhibits on area natural history. The Center also hosts a variety of educational programs for families, children and adults. When you’ve explored the trails and exhibits, head into nearby Chelsea for ice cream, baked goods or a meal. Chelsea is also home of Jiffy Mix, which provides tours of the only place this home kitchen staple is made. 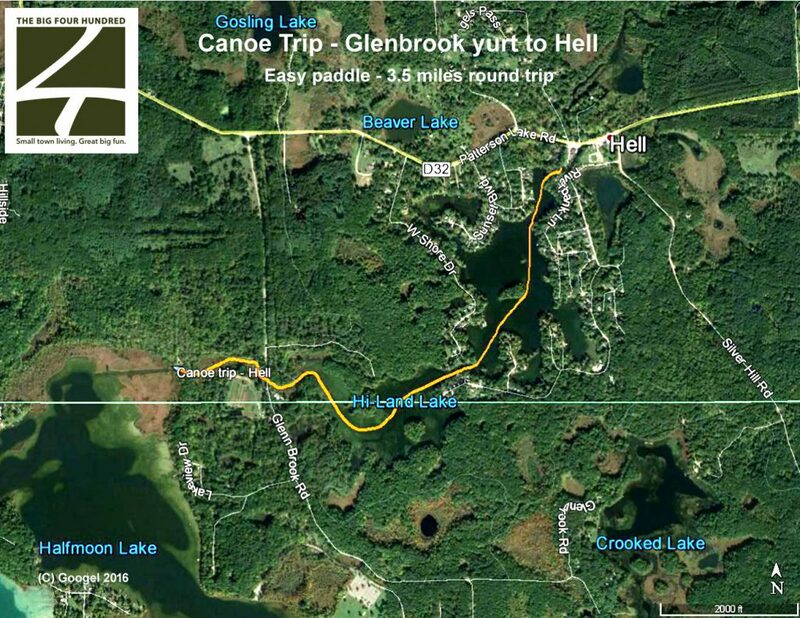 This is an easy paddle, from the Glenbrook Yurt parking area, east to Hell along the Portage River, aka Hell Creek. This is the second largest tributary to the Huron River, and a pleasant family paddle by canoe or kayak. When you get to Hell, grab lunch, a cooling ice cream, or test your skills in miniature golf. If the yurt is occupied, you can also put in at Hi Land Lake boat launch. Or, if you want to rent a canoe or kayak, start your trip in Hell, where you can rent boats and reverse the trip. 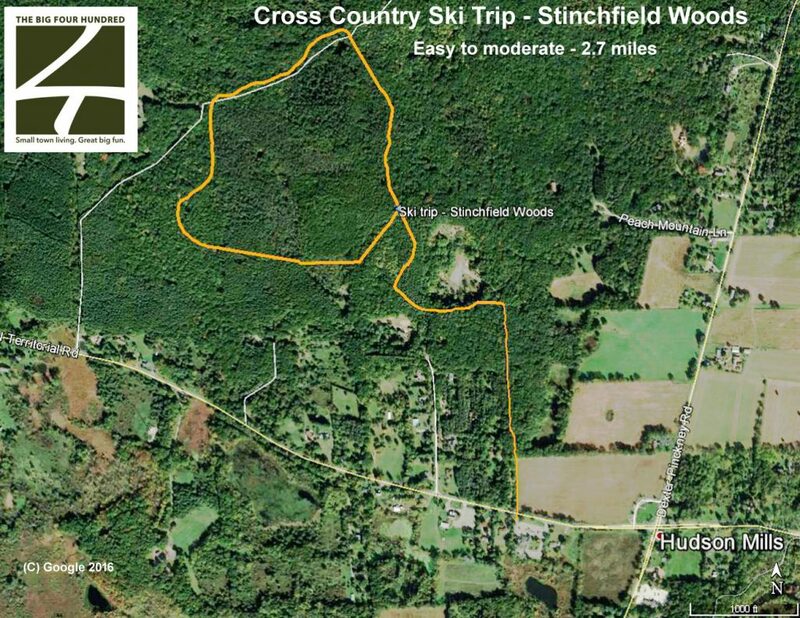 This 2.8 mile moderate cross country ski trip traverses the University of Michigan’s Stinchfield Woods property. The property is home to a variety of research projects, as well as the Peach Mountain Observatory. Please respect the signage, and stay on trail. The property is heavily wooded, and representative of some of the unique geology of the region. Create your own mini-biathlon. 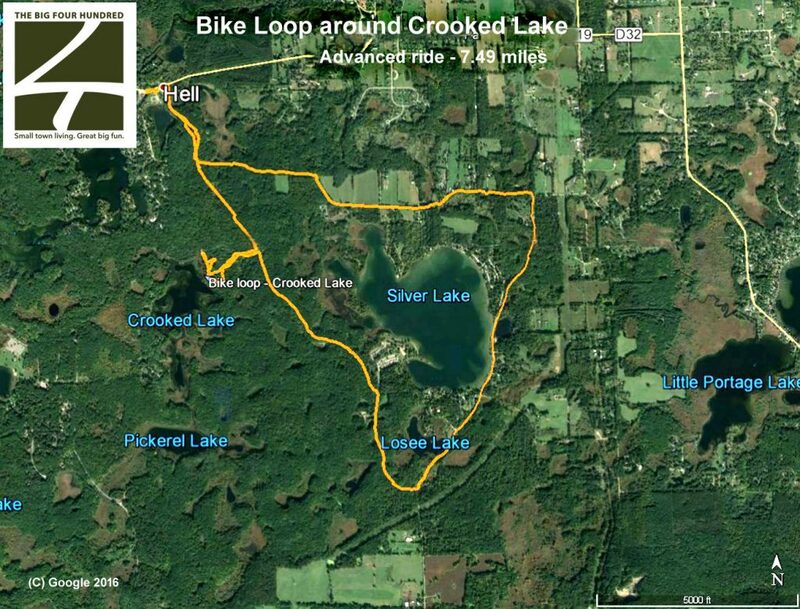 Begin with an advanced 7.9 mile bike ride, beginning and the Silver Lake day area, bike around Silver Lake to Hell and back. All good biathlons require a fueling stop. Make this Hell itself, for ice cream and other treats. 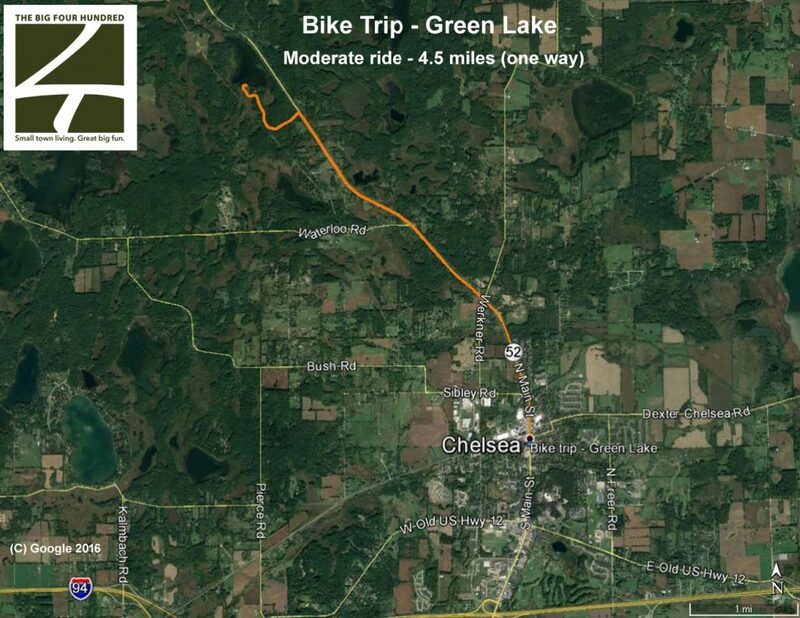 Upon your return, drive to Pickerel Lake, and paddle a relaxing 1.1 mile trip. 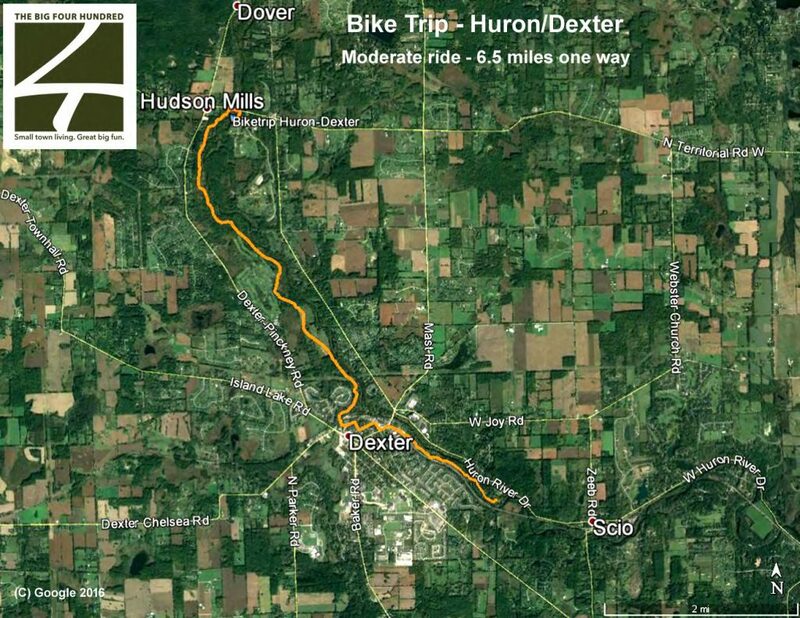 Leaving from Hudson Mills Metropark, take a 6 mile (moderate) paddle to the City of Dexter. Plan ahead. You’ll want to spend some time in this charming community. AND, you’ll want to have pre-placed your bike at Mill Creek Park. Bike the 6.5 miles back to Hudson Mills to pick up your car. It’s a good day! 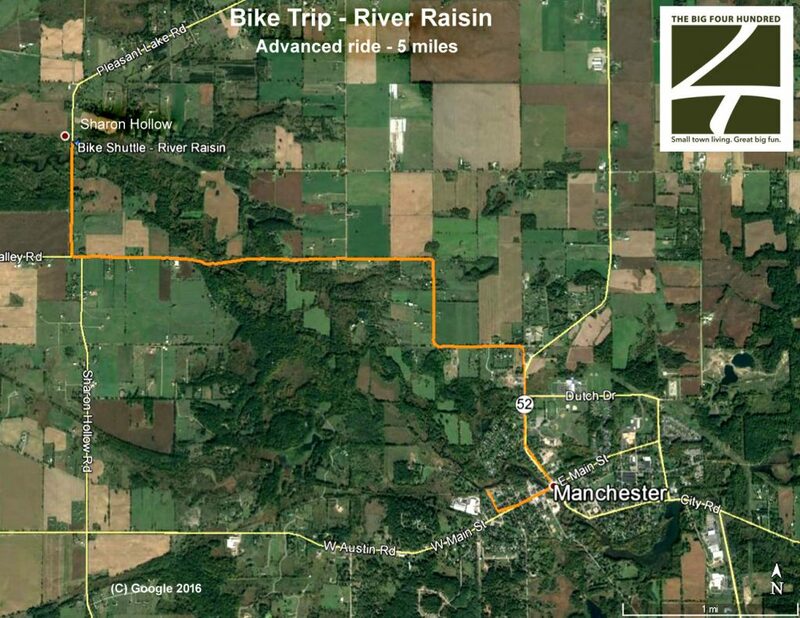 This is an advanced paddle/bike trip, due mostly to the serpentine nature of the River Raisin, and the hilly terrain of the return trip. It’s worth the effort, with the Village of Manchester as your mid-point. Put in at Sharon Mills County Park for a 5 mile paddle to Manchester. You’ll take out at the North End of Union Street. Take your bike back to the Mill over winding, lightly traveled roads.